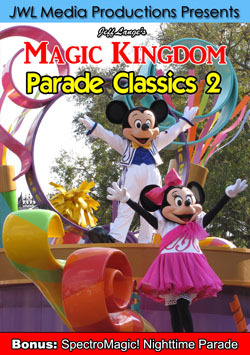 I am very happy with the reaction to my latest DVD release, Jeff Lange’s Disney-MGM Studios Parade Classics – 20th Anniversary Collectors Edition (for more information or to order, click HERE)! 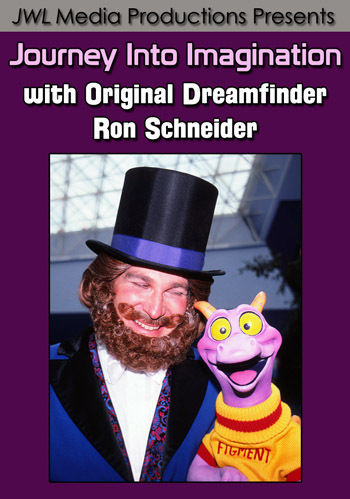 Last week was a huge one for Walt Disney World, I had a wonderful trip and have another update that came out of it. 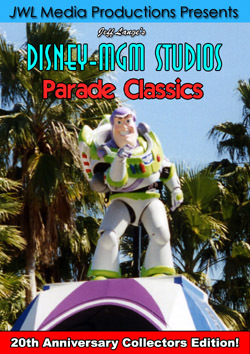 Walt Disney World rolled out the Celebrate a Dream Come True Parade without the Villains Float, but with many more characters interacting with guests. 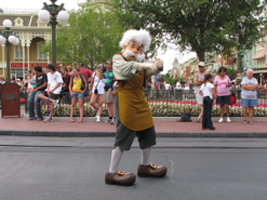 Characters like Geppetto also are in the street and not on the float. 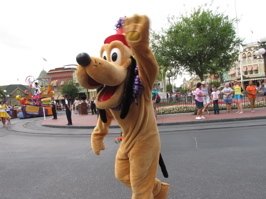 Pluto waves to the crowd (below, left). 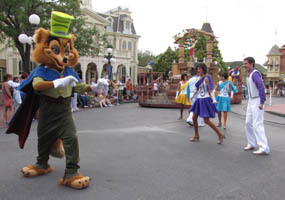 Geppetto now walks through the street, shaking hands with guests (below, right). 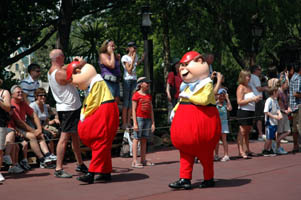 Characters from Pinocchio precede the float (below, left). 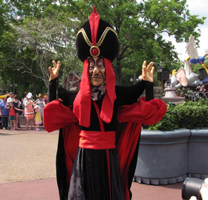 Jafar comes in for a hug – or not! (below, right). 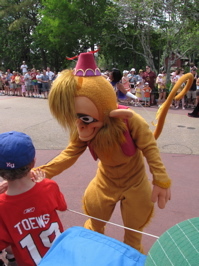 Abu shakes the hand of a child (below, left). Tweedledee and Tweedledum work the crowd (below, right). 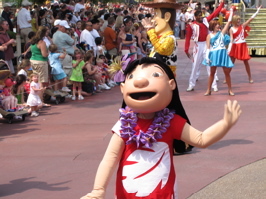 Lilo is now added to the parade (below, left). 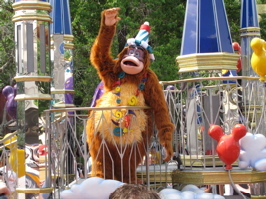 King Louie waves from the last float (below, right). 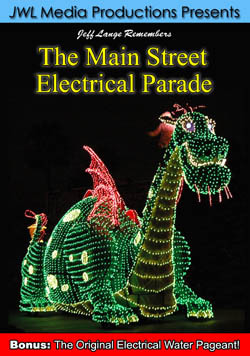 For more great parade photos, please check out the new MouseSteps update HERE! 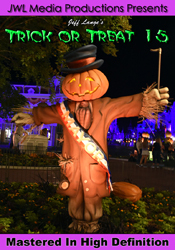 We also have complete video of the original Celebrate A Dream Come True Parade with the villains float HERE. 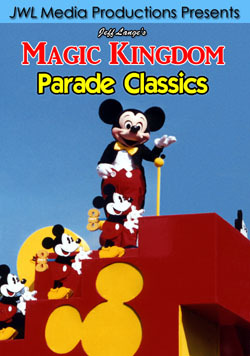 Don’t forget, we also offer a great new DVD series featuring vintage and current parades from Walt Disney World below! 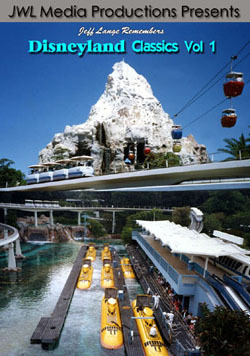 The DVC Bay Lake Tower is just a few months from opening. 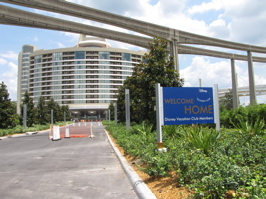 Signage is now going up at the resort (the standard “Welcome Home” below left) and the main building adding letters (below right). 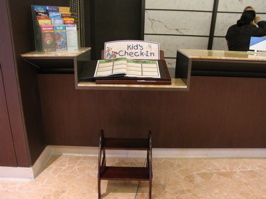 The Contemporary resort has opened a “kids check-in” area that I think in very nice idea. 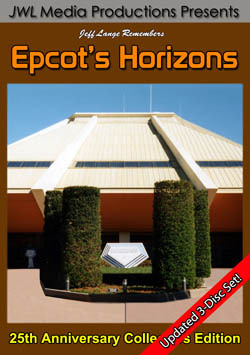 I wish they had these when my parents started bringing me to the Polynesian Village or Contemporary Resort 37 years ago (yes I am getting old). 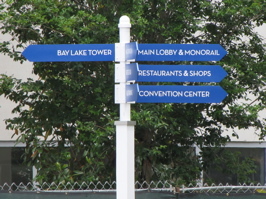 The Contemporary Bay Lake Tower is set to open this summer. 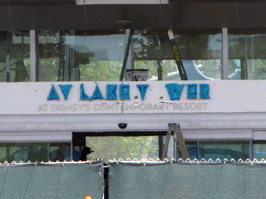 The outside of the Bay Lake Tower from the stairs of the Contemporary Resort – including the front entrance from above, the signage, tennis courts and landscaping. For more great Bay Lake Tower photos, please check out the new MouseSteps update HERE!